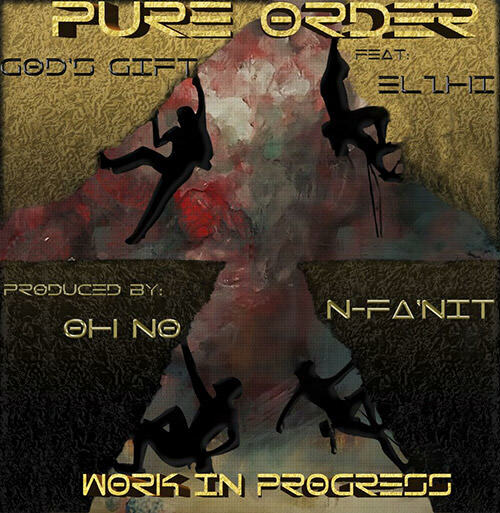 Taken off their upcoming Sword of Elan Vital project, Pure Order, the duo of Oxnard, CA’s God’s Gift and LA’s Nemesis N-FA’NIT, enlist eLZhi for the EP’s third single. Produced by Oh No, the song was inspired by the motivation of all creatives (graffiti artists, athletes, street performers, etc) and displays the perspective of artists who are disciplined enough to work at elevating their craft, as compared to those who cower in the face of adversity and decide to ‘dumb it down’ to fit in. Check out the 2DBZ premiere below and be sure to pick up Sword of Elan Vital tomorrow (4/6) on Bandcamp.